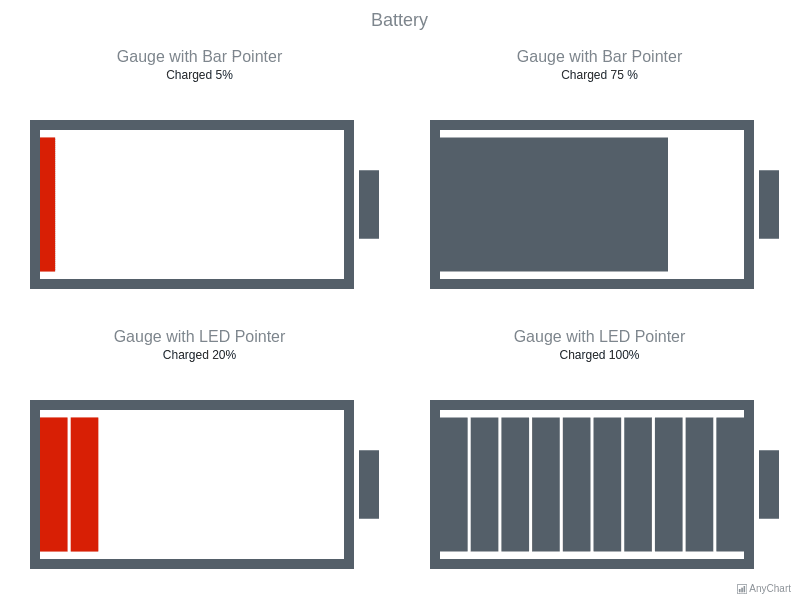 BatteryA chart with 4 pointers, two of bar pointer type and two of LED type pointer type, all imitating battery chargers with different battery charge labels. 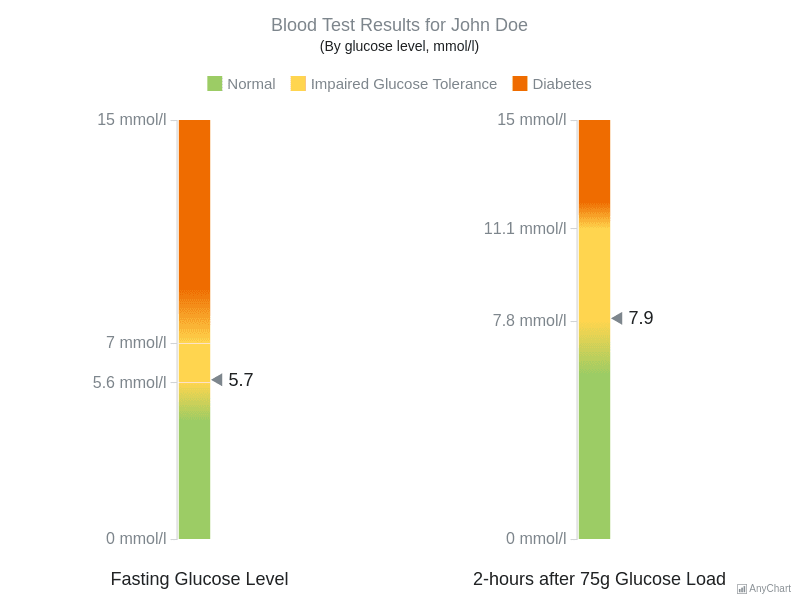 Blood Sugar TestTwo linear gauges, divided into three ranges that represent the glucose tolerance levels, standing for the patient's blood data before glucose injection and two hours after it. Combination of Bar and LED PointersThere are four gauges, two of bar two of LED type, with different values and range. 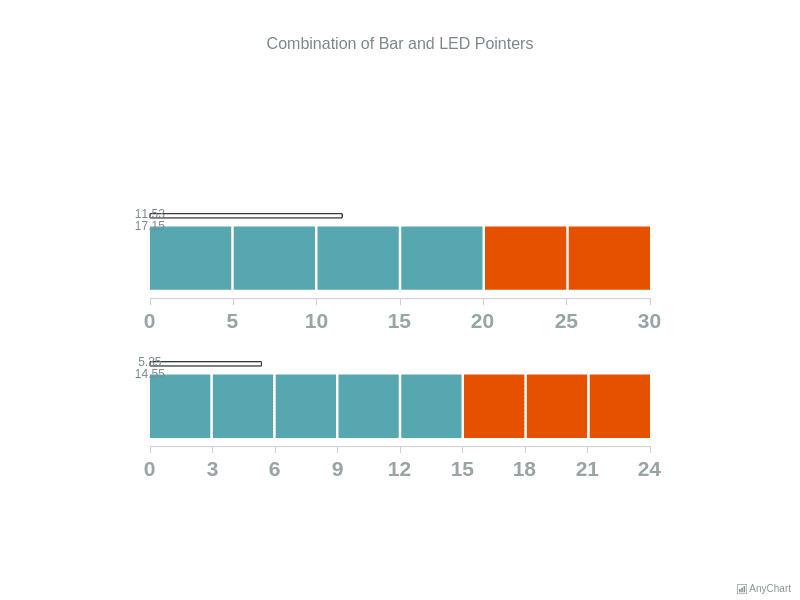 Each bar pointer equals a part of a LED pointer. LED with Bar GaugesThere are LED and bar pointers used for demonstrating the revenue, the expenses and the profit levels of a company. 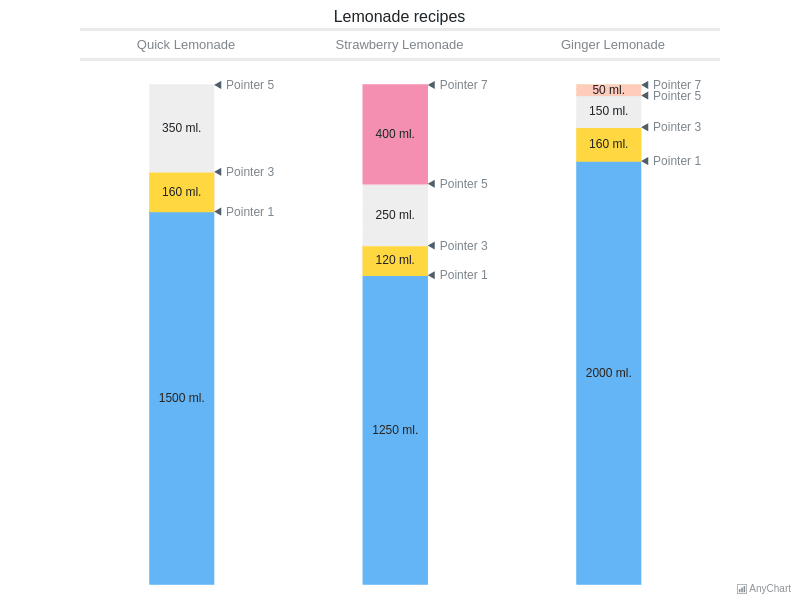 Lemonade RecipesThere are LED and bar pointers used for demonstrating the revenue, the expenses and the profit levels of a company. 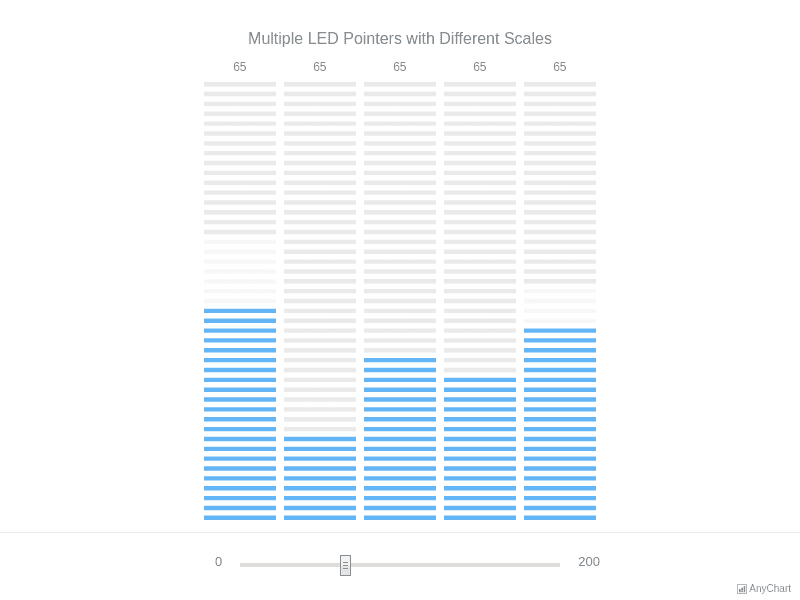 Multiple Led PointersA chart with 5 different LED pointers and a value range setter. 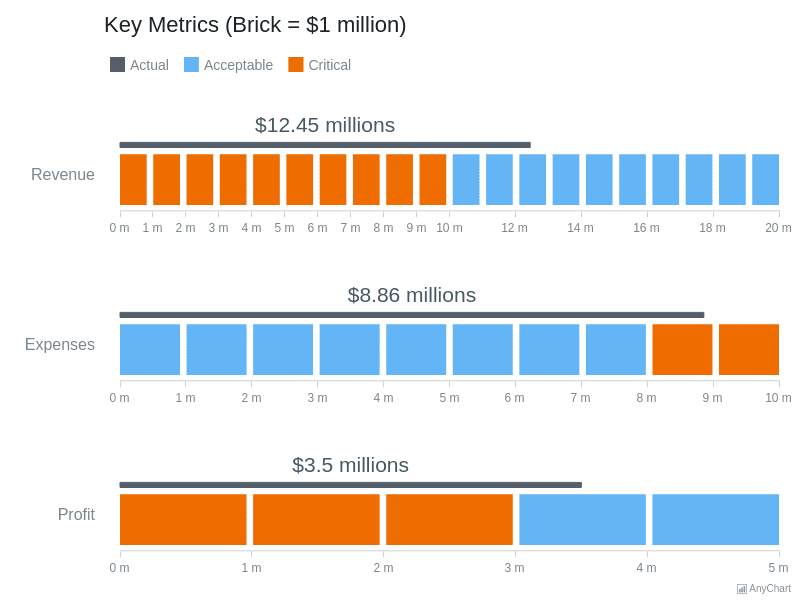 All pointers show the same value but each uses a new scale. 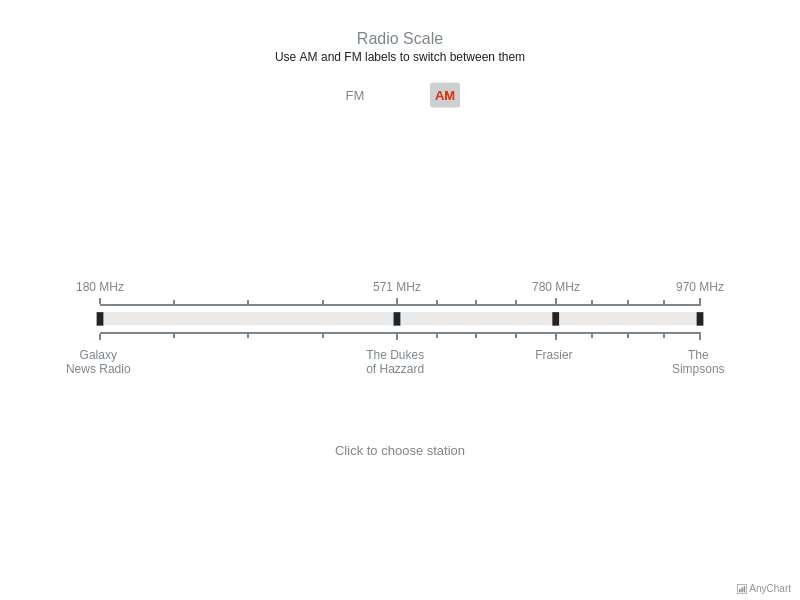 Radio ScaleA chart simulating the radio scale with FM and AM stations, that looks like a bar-tuner with several stations marked and two buttons to switch FM to AM. Tallest BuildingThis gauge contains six bars, each representing the height of one of the highest buildings in the world by the building functioning area. 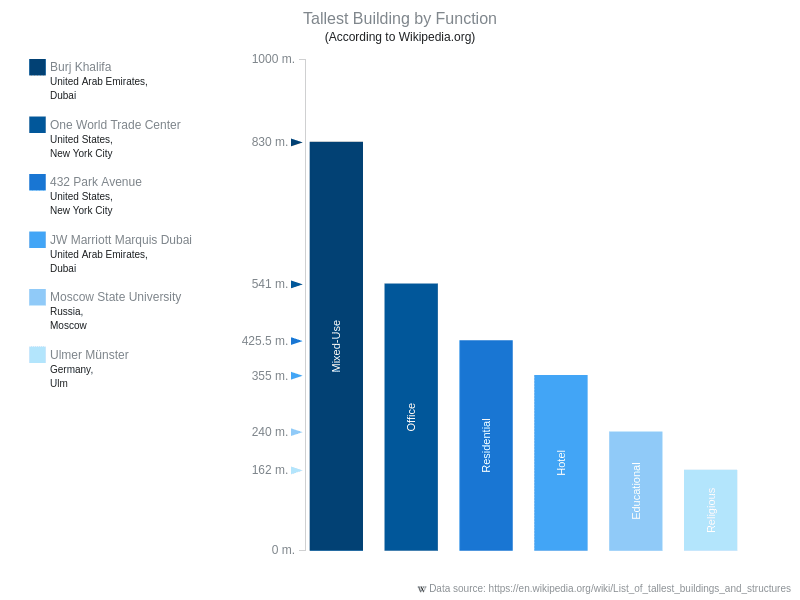 One Y-Axis measures the height. 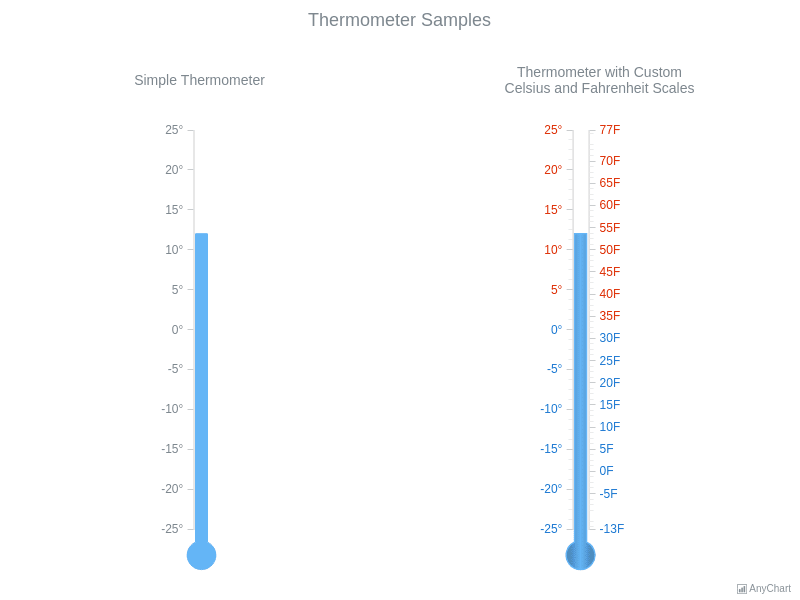 ThermometerThis chart demonstrates two linear gauges, imitating thermometers. One of them is simple and the second has two scales - \xb0C and \xb0F, making it useful for everyone, no matter which temperature system the customer is used to. 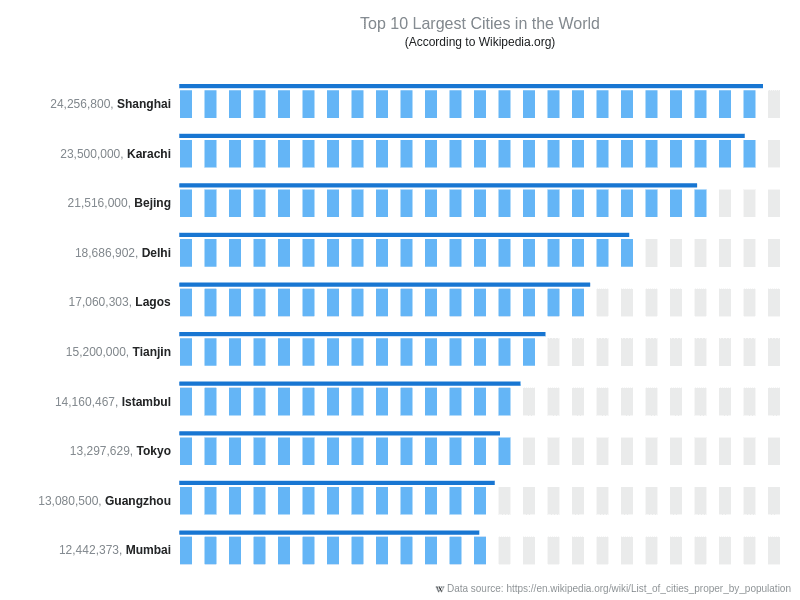 Top 10 Largest CitiesThis chart demonstrates 10 LED pointers with thin bar pointers over each of them, demonstrating the number of people living in the town. 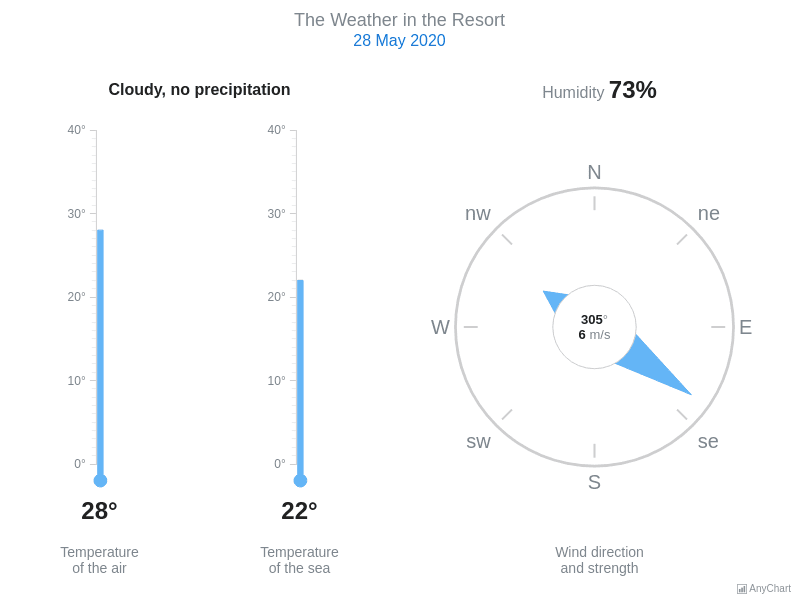 Weather DashboardA dashboard with two linear thermometers demonstrating the air and water temperature and one circular gauge showing the wind direction and strength. 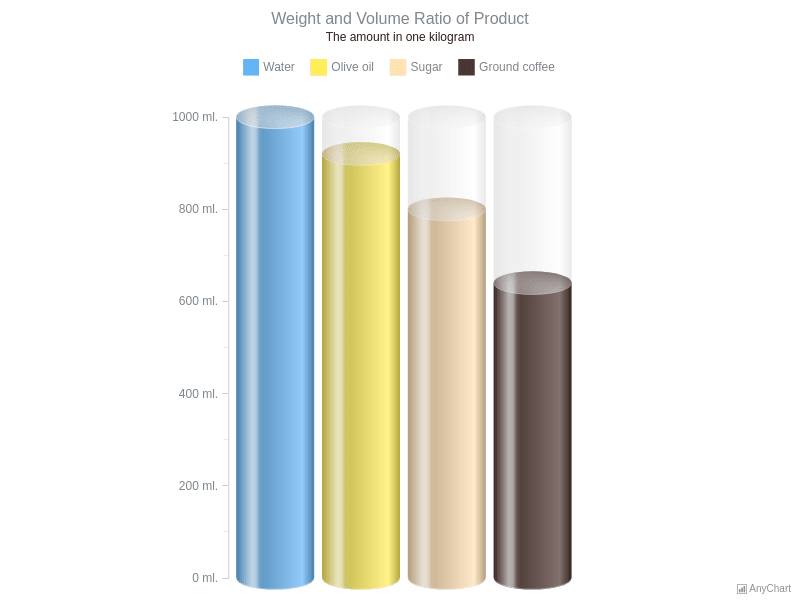 Weight and Volume RatioA chart with 4 tank pointers, demonstrating the difference in the volume of different substances (water, oil, sugar and coffee) that equals one kilogram.